Pupil Progress Guaranteed. Introducing Love to Read, Supply Desk’s new reading intervention programme proven to double the rate of progress in struggling learners. Love to Read was developed to work in partnership with schools to overcome literacy difficulties that affect the life chances of children, young people and adults. The programme has helped to more than double the progress of typically developing learners, boosting reading ages by 2 years over the course of just 10 weeks. Love to Read uses a book-based approach to support learners in their reading, enabling them to activate both dimensions of reading – word recognition processes (including phonics) and language comprehension processes. How does the Love to Read programme work? Designed for Primary and Secondary pupils aged 6-15. Typically, involves 20-minute sessions, twice a week. Delivered by teaching assistants and teachers, provided by Supply Desk, who have been Love to Read trained. Creates a structured one-to-one intervention for learners who find reading difficult. Enables struggling readers to achieve more than double the progress of typically developing readers. 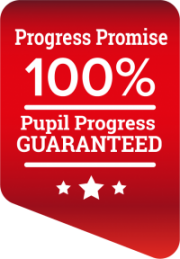 We measured the progress of the Love to Read pupils from our three pilot West Yorkshire schools, taking predicted levels before the 10 week course and comparing them with SATs results (Primary) and reading ages (Secondary) after the programme was complete. Click the link below to download the full case study of the pilot programme we ran at Upper Batley High School, West Yorkshire (January to Easter 2018). What are the benefits of Love to Read for learners? What is the impact of Love to Read for schools? Supply Desk is committed to providing effective, evidence-based support for children, young learners and adults that can have a positive effect on their life chances. Love to Read programmes can be designed on a bespoke basis, to suit individual school needs. Contact us using the form below for more information on how the programme can boost pupil progress in your school. Interested in becoming a Love to Read tutor? Whether you are an existing Teaching Assistant or not, click here for more information on our bespoke Love to Read training.